trailers - SUPERIOR LANDSCAPE PROD. For rental dump trailer, please contact us at 1-574-3478 or come visit our showroom. 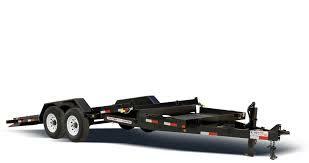 We are authorized dealers for high quality Liberty trailers. Please contact us for your trailer needs. 2018 Liberty trailer model LD5K60X8LP dump trailer. 80" overall wide, 60" between the 18" tall sides x 8' long on 12 gauge smooth floor. 5' landscape gate (drive on and spread). 10" x 36" smooth Jeep style fenders. LED sealed beam lights. 110 volt battery charger. 5000 lb GVWR. 2018 Liberty trailer model LD14K83X12LPSHD heavy duty dump trailer with scissor hoist. 83" x 12' bed with 24" side panels. 14 gauge diamond plate Jeep style fenders without backs. 83" split combo bard door gate. Type 24 deep cycle marine battery. 110 volt battery charger. 7000 lb topwind, dropleg, set back jack. LED sealed beam lights. 14,000 lb GVWR. 2018 Liberty 60" x 8' utility trailer. 2000 lb jack. 9" x 32" rolled fenders. LED sealed beam lights. 60" x 48" gate. 2' x 2' top rail with angle uprights. GVWR 2,990 lbs. 2018 Liberty 78" x 12' utility trailer. 2,000 lb jack. 9" x 32" rolled fenders with backs. LED sealed beam lights. 78" x 48" gate. Set of utility gate springs. GVWR 2,990 lbs. ​2018 Liberty 82" x 18' car hauler. 2,000 lb jack. 10" x 72" Jeep style fenders w/12" flat backs. LED sealed beam lights. 2' dovetail w/formed 5', dual side, slide in ramps. GVWR 7,000 lb. Liberty provides many options on their trailers. As an authorized dealer, we can provide these options to you including other trailer types and sizes. 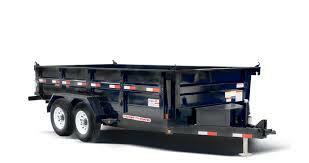 Please contact us at 1-574-372-3478 and allow us to assist you with your trailer needs.